Here’s what I wish I’d known before I tortured myself at the beginning of my entrepreneurial journey. 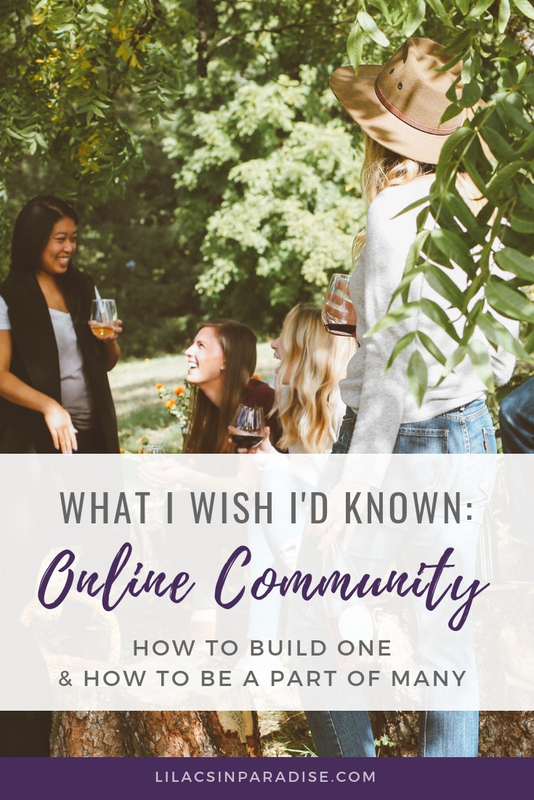 I didn’t understand the value of community or what it really looks like to build and have an online community of my own. I want to share what I’ve learned, in the hopes that you won’t keep making the same mistakes that I did, and also with the hope that you will realize you are already supported and welcome in the online space, and what you’re craving is already yours. The thing is, a community isn’t a dream place or a goal that either is 100% according to your plan, or not. It’s not something that you work toward for months and then one day you’re just finished. A community is a group of people interacting on common ground. It doesn’t matter if the community is three people or three million. It’s already your community if it’s a group of people who interact with and influence you, and who you hopefully also influence and come to understand better. When I started my business, I thought there would be a point when I just knew I had an awesome community, and where my people were as engaged with my posts as other women’s communities were with theirs. You know that game, right? But I started my own group in Facebook, started my business page, started a Twitter and an Instagram account for my business… and I kept making the same mistake. I kept assuming that since my audience wasn’t over 1,000 followers on each platform, or my posts didn’t get over 50 comments, or I didn’t have messages flooding in from strangers every single day, that I was failing at building and being part of a community. I was blind to the fact that my community was already real! It started with those first few new friendships, the first group I was welcomed into on Facebook, and those first few followers. What I was missing wasn’t the community, because I already had it! I was missing mySELF. I was the problem. I wasn’t appreciating my community or taking my crew seriously. I wasn’t engaging with my people as though they were real PEOPLE, and I didn’t notice the interaction I did get because I was busy focusing on the 800-some followers I still wanted to gain. If you’ve been wanting to build an online tribe, this is my advice to you: Stop trying to grow it outwardly, and start trying to grow it depth-wise. By that, I mean start actually interacting with and getting to know however many or few followers you already have. Start reaching out to people and actually noticing and getting curious about who is already there. Start showing appreciation and interest with your followers, and let the new people find their way in. Keep sharing what you’ve been sharing, and engage with who IS showing up. Because the community you want is right in front of you already, you’re just not ACTING like it, so you aren’t getting the results you want. And if you’re feeling really lonely online even after thinking on this, come join my community and start building yours up with some amazing women who I can honestly say I am so grateful and excited to know. (And you will be too!) Find me on Instagram to connect! I hope this little lesson learned has helped anyone starting out in the online space, it’s coming right from the heart and this kind of advice earlier in my journey could have saved me a whole lot of heartache! And to those of you who have followed me through this lesson, I’m truly sorry for the time I’ve spent NOT appreciating you. No more of that. Come say hello, and let’s get talking. I’m so excited to have finally woken up to the beautiful community around me.